As the control center of the human nervous system the human brain is the single most complex organ within the human body. Although the general parts of the human brain and its structure are similar to those of other animals the most amazing thing about the human brain is its sheer size. 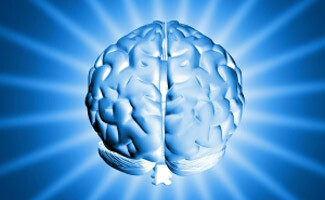 The human brain is three times larger than other mammals with body sizes similar to the human being. So why is the human brain so huge? Take a look around the animal kingdom and no where will you find a creature that is capable of the highly complex tasks that we are capable of thanks to the presence of our incredible and large brains. While there are some mammals that show signs of significant intelligence, including the ability to grasp language, there have yet to be a creature that rivals the human being in terms of brain power. Take for example the chimpanzee that is so often referred to as being “almost as intelligent as a human,” Dr. Daniel Geschwind professor of human genetics at the David Geffen School of Medicine, explains that in comparison to the human brain the brain of a chimpanzee fires on six cylinders rather than the human brain which fires on twelve. This explanation breaks down in to the simplest terms why the human brain is so amazing, even while only using a percentage of its potential the human brain is capable of grasping, processing and interpreting so much more information than the brain of other “human like” creatures. How Much Do Our Brains Weigh? On average the human brain weighs around 3 lbs and is slightly more voluminous in men than in women although brain size generally changes from individual to individual (as does the appearance of brain structures.) The human brain is pink in color and whitish on the interior and contains over one hundred thousand axons by the time an individual is twenty years of age. What Are the Areas of our Brain? The human brain is separated in to a group of general features including the corpus callosum, the cerebral cortex, the thalamus, the hypothalamus, the hippocampus, the cerebellum and the brain stem. Each of these major sections of the brain performs a specific function in the workings of the brain as a whole. The corpus callosum is a thick bundle of nerves which runs between the two cerebral hemispheres connecting them. The corpus callosum is responsible for maintaining communication between the two hemispheres of the brain and is the segment of the brain that is severed in patients undergoing a hemispherotomy to control such conditions as epilepsy. The cerebral cortex is the neural tissue that makes up the “grey matter” of the brain and is particularly important to functions such as attention, perceptual awareness, memory, thought, consciousness and language. The cerebral cortex is folded in the human brain and it is suggested that more than two thirds of the human brain is hidden within the large folds of the cerebral cortex. The thalamus occurs along the midline of the brain under the outer cerebral cortex and is composed of two symmetrical bulb shaped features. The thalamus is the part of the brain that is responsible for forwarding sensation, spatial sense and motor signals to the cerebral cortex. The thalamus is also responsible for regulating alertness, sleep and consciousness. The hypothalamus is located underneath the thalamus in the human brain and has a variety of responsibilities including acting as a link between the nervous system and the endocrine system by use of the pituitary gland. While all brains of vertebrates have a hypothalamus they are not all similar in size, the hypothalamus of the human brain is approximately the size of an almond. The hypothalamus in the human brain is also responsible for controlling fatigue, thirst, hunger, body temperature, and circadian cycles. The hippocampus is similar in structure to the shape of a seahorse and is located in the medial temporal lobe of the brain. The hippocampus is responsible for spatial navigation and long-term memory. Due to the fact that this is the area of the brain that holds long term memory it is known that this is one area that is significantly damaged in patients with Alzheimer’s disease. The hippocampus is also the area of the brain that is damaged when people suffer brain injury and are no longer able to form or retain new memories. The cerebellum generally appears in diagrams as the large garlic bulb shaped structure at the back of the brain. The cerebellum is responsible for the coordination of movement, balance and posture in the body. While the majority of the cerebellums functions are related to motor control it also plays a part in cognitive functions like attention, language and regulating some emotional responses. The brain stem is the very posterior portion of the brain that connects the brain and the spinal cord. The brain stem may not be the largest but it is one of the most important features in the human brain as it provides nerve connection from the brain to the rest of the body. The brain stem is also critical in regulation of cardiac and respiratory function and regulation of consciousness and sleep cycles. The cerebral cortex of the brain is one of the most studied segments of the human brain and is divided in to four individual lobes, the temporal lobe which is at the bottom of the brain, the frontal lobe which is at the front of the brain, the parietal lobe which is behind the frontal lobe and the occipital lobe which is the smallest lobe and is located at the back of the human brain. Each of the lobes in the human brain serves its own function and houses various functions and areas of the brain. The lobes of the brain are named for the bones which are located next to those brain areas rather than specific structures within the brain. The temporal lobe of the human brain is responsible in large part for sound. The temporal lobe is the lobe of the brain that perceives sound and also processes semantics in speech and vision. Within the temporal lobe of the brain is the hippocampus which plays an important role with long term memory. Also located in the temporal lobe of the human brain is the superior temporal gyrus where auditory signals from the ear first reach the cerebral cortex. The temporal lobe is also home to Wernicke’s area which spans from the temporal lobe to the parietal lobe and is particularly key to the understanding of spoken and written language. Wernicke’s area works in tandem with Broca’s area to understand and produce speech. These areas are specialized to the human brain and are one of the major differences that allow humans to be capable of such complex language skills where other mammals are not. Damage to the temporal lobe of the brain can result in the inability to create new memories. The frontal lobe of the human brain is located at the front of the human brain and is home to nearly all of the dopamine-sensitive neurons in the brain and as a result it plays an important part in drive, planning, long-term memory, reward and attention. The frontal lobe of the brain is a significant part of the human brain which enables humans to recognize consequences in the future that arise from current actions, the ability to override unacceptable responses to situations, the ability to determine similarities and differences between items or events, and the ability to distinguish good from bad. These executive functions are, in a way, what separates humans from wild animals, they are the things that make us “polite” and able to “get along” with each other without breaking in to fist fights any time someone else has something that we want. Damage to the frontal lobe of the brain can result in the loss of smell or taste, reduced sexual interest, risk taking behavior is not perceived as being risk taking, increased distraction, disruption in creativity be it increased or decreased and a change in socialization habits. The Parietal Lobe: Are You Left-Brained or Right-Brained? The parietal lobe of the human brain is located behind the frontal lobe of the brain and in front of the occipital lobe. The parietal lobe of the brain is the portion of the brain that is responsible for integrating sensory information that is relayed from various parts of the body as well as for the manipulation of objects, and visuospatial processing. The parietal lobe of the human brain is divided in to a right and left hemisphere and depending upon right or left handedness one of these lobes is more prominent, with the right side controlling the left side of the body and the left side controlling the right side of the body. Damage in the right side of the parietal lobe will result in neglecting the left side space and left side of the body as well as the loss of imagery and visualization on the left side. Damage to the left side of the parietal lobe will result in problems with math, understanding symbols, writing and long reading as the parietal association cortex is what allows individuals the ability to read and write as well as solve mathematical equations. The occipital lobe of the human brain is located at the back of the brain behind the parietal lobe and the temporal lobe. The occipital lobe of the brain is the portion of the brain that contains the primary visual cortex. The primary visual cortex of the brain is responsible for receiving the information conveyed through retinal sensors on each side of the head. Damage to the occipital lobe of the brain can result in vision disturbances of any variety. Vision can be lost from certain spots in the field of vision that correspond with damaged areas on the visual map in the visual cortex. Lesions within the occipital lobe of the brain can result in hallucinations or when lesions occur in a very specific region of the occipital lobe they can result in the inability to recognize movement, colors or the inability to write. Another intriguing fact about the human brain that has never been particularly understood is that the brain is lateralized in terms of function, meaning that the left side of the brain controls the right side of the body and vice versa. Even more amazing than this, however, is the fact that in certain epilepsy patients who have had the connection between the two hemispheres severed, one side of the brain is able to make up for the loss of the other half of the brain and take over some and sometimes all of the responsibilities of the lost hemisphere. While this occurs mostly in younger children whose brains are still developing at the time of surgery it is certainly another reason why the human brain is so amazing! The human brain is a particularly complex organ and certainly cannot be summed up in one short article, however, the major functions listed above are those which play the largest part in what makes the human brain so amazingly versatile in comparison to other lesser mammalian brains. Whether it’s the inclusion of so many complex structures or simply our brains ability to adapt and use those structures in a way which promotes survival as a species no one is entirely sure but one thing is for certain – the human brain is an organ which has managed to evolve far past the standards of other mammals. Even mammals with significantly human traits there is no comparison when it comes to sheer brain power. How long did it take for human beings to develop the ability to utilize so much of their brain and evolve such highly specialized regions of the brain? It can never be known for sure but should other mammals ever follow in the footsteps of human beings and develop such complex brains capable of specialized functions such as speech, we can perhaps piece together the puzzle ourselves and back track to the evolution of the human brain.